Well, obviously I recommend that you start out by reading the articles and resources here on A Charlotte Mason Home where you are currently. 😉 But I don’t believe I’m the end-all/be-all of things Charlotte Mason. Not by a long shot. So to get you started on your CM journey through the outer reaches of the internet, let me recommend my personal favorites to spare you time wading through things not quite as helpful or thorough. These are just my personal favorites, however. Your mileage may vary. Also, please feel free to add your favorite CM-inspired site(s) in the comment section. Happy web surfing! A collection of books and other resources specifically hand-selected with the Charlotte Mason inspired homeschooling family in mind. Catherine is a popular conference speaker and author of several books including A Charlotte Mason Education and More Charlotte Mason Education. Catherine graciously contributed a number of the founding articles on A Charlotte Mason Home (where you are now). The purpose of the Charlotte Mason Institute is to support a worldwide community of learners and educators in an authentic practice of Charlotte Mason’s paradigm of education. We seek to do this in three ways: explicating the educational philosophy of Charlotte Mason, equipping individuals and schools to practice Mason’s pedagogy and nourishing the Mason community with insightful publications, examples of practices and various forms of knowledge from the arts to the sciences, from nature to literature to history and many more. 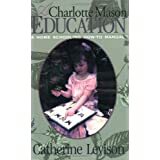 The Charlotte Mason Institute aims to extend the Charlotte Mason educational philosophy to children worldwide, just as Charlotte Mason intended. The Institute’s long term vision is to develop a vibrant and growing Mason community to sustain generations to come. They have an easy-to-use collection of Charlotte Mason’s original works on their site. In 1999, Ambleside Schools International, a 501(c)3 corporation, was founded as a model school and training center to support renewal in education. Its staff developed the Ambleside Method of education, based on Mason’s educational approach. Maryellen Marschke St. Cyr, school principal, author of When Children Love to Learn and expert in Mason’s educational thought and practice, spearheaded the Fredericksburg, Texas-based ASI movement. A rigorous approach to Charlotte Mason education, basing their research and curriculum choices on Charlotte Mason’s actual classrooms. Extensive library of information and digital versions of many of the articles from Charlotte Mason’s “Parents’ Review” magazine. A true labor of love to the homeschooling community and a tremendous resource. Penny is the author of The Charlotte Mason Study Guide and a long-time Charlotte Mason homeschooling parent and support group leader. Her website contains Charlotte Mason information, samples of nature notebooks, tips, etc.